This paper presents an improved assessment system to evaluate the risk of water inrush in tunnels in carbonate karst terrain based on extension assessment method. This system considers the karst geological conditions and selects nine main factors as evaluation indices that influence the water inrush in tunnels. The evaluation indices are quantitatively graded into four risk grades based on their values or expert judgement. The same-feature matter-element, classical domains, and sectional domains are constructed based on the nondimensionalization of the risk grades of the evaluation indices. The integrated weights for the evaluation indices are composed of the objective weights computed from measured values and the subjective weights derived from the Fuzzy Analytical Hierarchy Process (FAHP). The water inrush risk level of the evaluation object is recognized by the correlation analysis. The variable characteristic value makes it possible to further distinguish the water inrush risk of different objects having the same risk level. 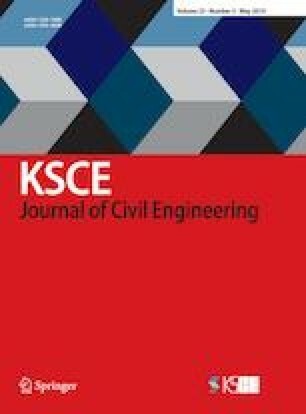 The accuracy of the assessment results of this proposed extension assessment system was verified by applying it in two engineering cases. This extension assessment system provides a practical tool to assess the risk of water inrush in tunnels in carbonate karst terrain.